The Cincinnati Enquirer announcement article follows, as well as the original press release announcing all 10 blogs. A design and architecture blog and one on the local and worldwide wine scene tied for “best blog” in a Cincinnati USA Regional Chamber and CincyTechUSA contest on Cincinnati.Com. and My Wine Education by Michelle Lentz, who delivers a very tasty site about the local and worldwide wine scene, and Cincinnati hospitality/nightlife in general, www.wine-girl.net. The winners beat out 60 other unique blog entries and will receive iPhones. In the chamber member category, the winning iPhone went to Strategic Public Relations by Kevin Dugan of FRCH Design Worldwide, who the chamber said offers insights on the latest in PR developments and issues locally and globally at http://prblog.typepad.com. When it comes to determining the best blogs in Cincinnati USA, the clear consensus among the judges: A Top 10 list is not nearly enough. 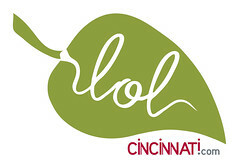 The Cincinnati USA Regional Chamber and the region’s high tech initiative — CincyTechUSA — received 154 nominations for 62 unique blog entries in Cincinnati USA’s Best Blog Competition over the past seven days on Cincinnati.com in a quest to name the best blog authored in Cincinnati USA and the best blog authored by a Chamber member. Because the nomination process was hosted and promoted by Cincinnati.com, bloggers who are employed by Cincinnati.com, The Cincinnati Enquirer, CiN Weekly and The Cincinnati Post could not be considered. BuzzMetrics and a national authority on blogging, podcasts and online video — will present “Consumer Generated Media: Blogs and Streaming Video,” a comprehensive workshop that will cover the latest wave of Internet business models, and how companies can leverage these cost-effective tools to promote their products. Only four seats remain for the Aug. 2 presentation and can be reserved by calling 513.579.3111. Cost is $175 for Chamber members; $300 for nonmembers.